Nintendo UK have today announced an exclusive partnership with GAME that will provide Pokémon fans across the country with the opportunity to get their hands-on with the forthcoming release of Pokémon Black Version and Pokémon White Version in-store this weekend, on February 26th and 27th. 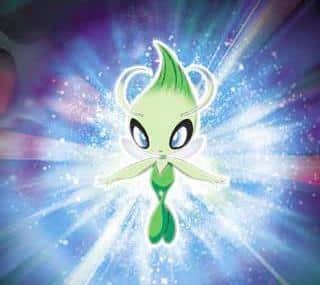 Alongside such a tempting offer, owners of Pokémon Diamond, Pokémon Pearl, Pokémon Platinum, Pokémon HeartGold or Pokémon SoulSilver will also be able to acquire one of the rarest and most mythical Pokémon of them all, Celebi, who can’t be caught through normal gameplay. The Celebi that you’ll receive also possesses moves that it wouldn’t otherwise learn through normal training, and players may also engage in special scenarios with those that own Pokémon HeartGold or SoulSilver Version being able to battle a classic confrontation if they take Celebi to the Shrine in the Ilex Forest. Here they’ll travel back in time and fight Team Rocket boss Giovanni! Further to this, if you transfer Celebi to your copy of Pokémon Black Version or Pokémon White Version, you’ll unlock the opportunity to catch Zorua, a Pokémon you can’t get anywhere else in any game!